This video is from last year but still was never posted on here. Thoughts? Any movies you would convert into a top 10? Did they really give Walking With Dinosaurs a spot on that list? And furthermore, did they really rate it above Jurassic World? Agreed. Carnosaur is the one where the main character kills a T-Rex with a forklift, and human females give birth to dinosaurs, right? ^Wait, WHAT?! Damn, now I gotta see this thing for myself sound like one of those insane, "so bad it's good" movies. And I agree, I would have given FK a place too. Also, seriously Watchmojo? WWD over JW? In fact, WWD in the list at all!? That thing barely qualifies as a movie way to take one of the best prehistoric documentaries, revive it with beautiful setting and graphics and then turn it into a Nickelodeon level poop joke fest...Bird sid making overdone jokes about gorgosaurus arms was the most cringeworthy moment I ever saw in a movie..
Yeah, Walking With Dinosaurs was absolutely atrocious. I'd nominate the BBC miniseries over the awful movie version any day of the week. The Valley of Gwangi isn't on this list and neither is the original 1925 version of The Lost World. This list is invalid. Here's mine, and it's far superior. 6. One Million Years B.C. 10. Super Mario Bros. 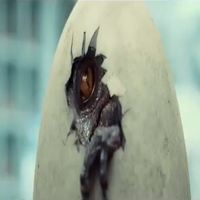 Yes, this technically counts as a dinosaur movie. Dennis Hopper really was the one thing that made that movie into the greatest "It's so bad, it's good" movies. You don't know what he's doing, but he's having fun and not caring. I consider this movie to be one of the dumbest movies ever made, but it's really fun because of how dumb it is. I encourage EVERYBODY in this group to see that movie, even if it's for all the wrong reasons.